Hollett, Ruth Marceline, age 76, of Pomquet, Antigonish County, passed away peacefully in the R.K. MacDonald Nursing Home, Antigonish, on March 9, 2019, with loved ones by her side. Born in Halifax, she was a daughter of the late Charles and Julieanne (Aucoin) DeYoung. Ruth was raised on the family farm in Pomquet, where she developed her love of animals. 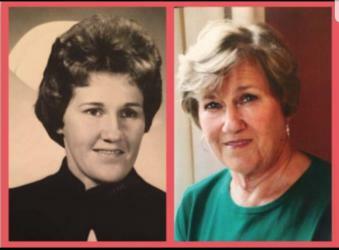 She graduated from St. Martha's School of Nursing as a Registered Nurse’s Assistant in 1963 and then moved to Toronto, where she was employed at St. Joseph's Health Center for 35 years. Upon retirement she returned to Pomquet and enjoyed working as a volunteer at various charitable organizations around the community. Ruth loved the outdoors, whether it was a walk in the woods berry picking, strolling on the beach, sitting around the bonfire with family, or tending to her flower gardens. Several close and long-time friends were an important part of her life and she always made sure to keep in touch. Ruth’s family was the center of her life. She shared a special bond with her siblings and was so proud of her children and grandchildren. She is survived by her husband of 49 years, Dave; son, David (Pamela) Hollett, Port Perry, Ontario; daughter, Denise Hollett (John Michaluk), Timberlea; grandsons, Jake and Drew; sisters, Marie (Joe) Melanson, Pomquet; Margaret (William) Fraser, Pomquet; Dorothy (late Ted) Mattie, Tracadie; brothers, John (Wendy) DeYoung and Louis (Helen) DeYoung, both of Pomquet, and many nieces, nephews, great nieces, and great nephews. Visitation will be held Sunday in C.L. Curry Funeral Home, 135 College Street, Antigonish, from 2 to 4 and 7 to 9pm. Funeral Mass will be held Monday at 11:00am in Ste. Croix Church, Pomquet, Reverend Andrew Gillies presiding. Burial in the parish cemetery in the spring.